It was disgustingly hot. The shirt I was wearing was sticking to my grimy, sweaty flesh. I wanted relief. I could walk into a department store and subject myself to a mixture of refrigerated air and the toxins released from hundreds of sample perfumes, both male and female. A plunge in a pool was a better idea, but where was that going to happen? Maybe I just needed a cold shower, which would mean getting off the hot pavement and down into the sweltering subway station for the ride home. No, I wanted more immediate relief and I knew there were other options. I knew there was the noodle cure. 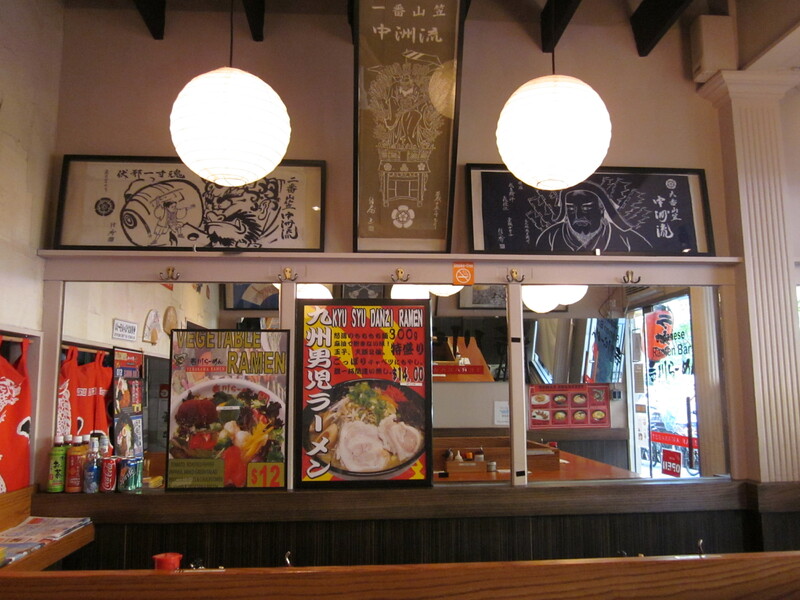 A wait for ramen noodles. 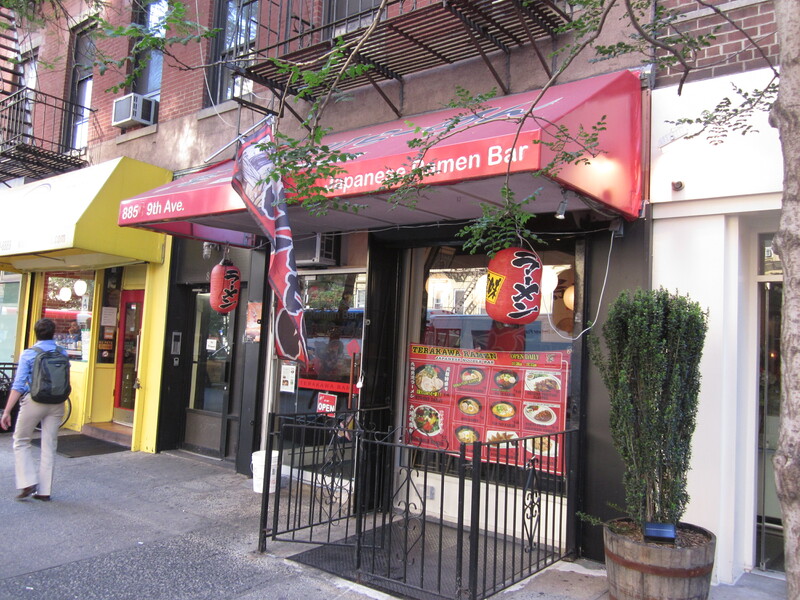 I walked to my first choice; a much celebrated ramen place that I knew had been awarded many stars from the usual subjects: Yelp, Urbanspoon, New York Magazine, etc. But many stars can often mean long waits and I’ve already deliberated on my feelings about waiting on line for food The Noodles on Prince Street. It was early; there was a chance I could get lucky. 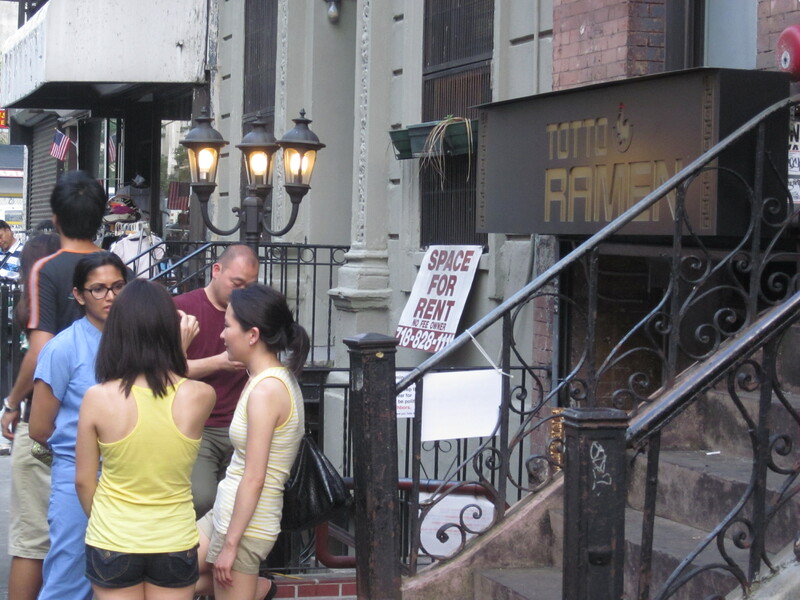 As I got closer, I saw the people; sweaty, grimy too—there were obviously others who knew of the noodle cure. Or maybe they just wanted to wait in line to see if all those stars were deserved. I turned around and headed back uptown. I knew of another noodle place. From a distance, I could see that no one was lingering outside. My pace quickened as I crossed the street. I pushed the door open. The small semi-circular counter was barren; I had the noodle place to myself. 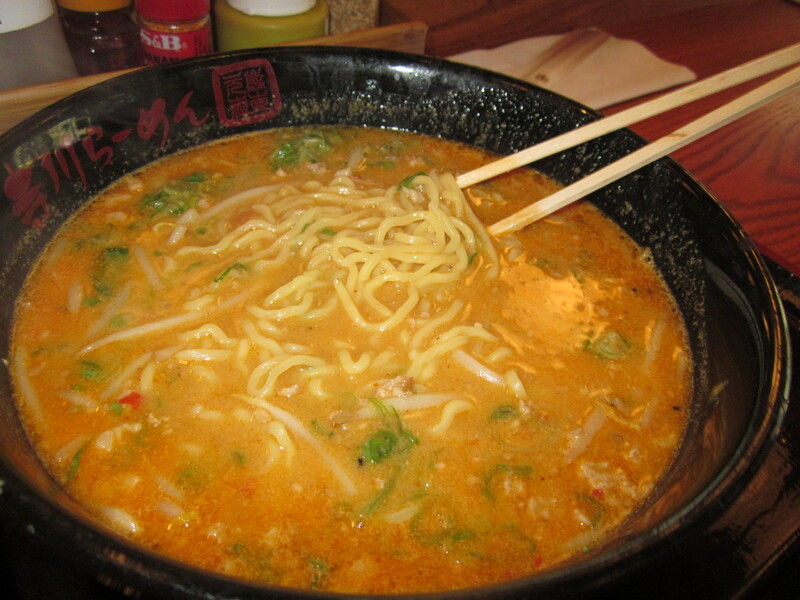 Even before I ordered the “Tan Tan Noodles;” a big bowl of ramen noodles in a spicy sesame sauce with minced pork, bean sprouts and scallion, I could feel my body cool. I was ready for what was to come. 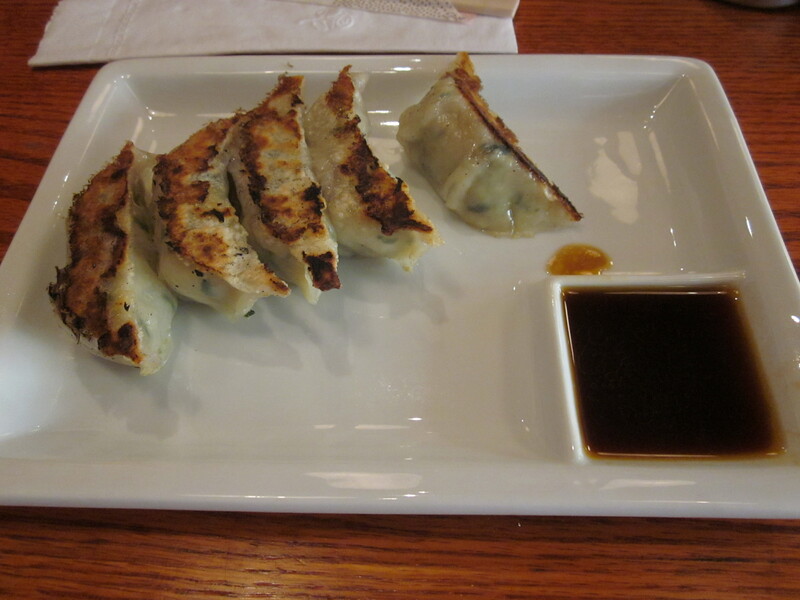 A loop of Michael Jackson hits played as I tore apart the pan fried pork dumplings I ordered as a side dish. Rich with minced pork and buckwheat, the dumplings were just an amusement before the main attraction. And then the tan tan noodles arrived. The steam was rising thickly from the bowl. I let it wash over the pores of my face before stirring the soup. Using my chopsticks, I pulled out some of the noodles. More steam was released. I blew on them just a bit and then slurped them into my mouth. I was assaulted by heat on two levels; first from the temperature of the broth and next from the spice within it; the combination bringing a quick sheen to my forehead. Alternating between chopsticks and spoon, I slurped relentlessly, the sound almost in rhythm with Michael Jackson’s “Man in the Mirror.” My only breaks were to use the much too thin paper napkin to blow my nose and dab at the sweat on my face. Finally I was done. The bowl empty. 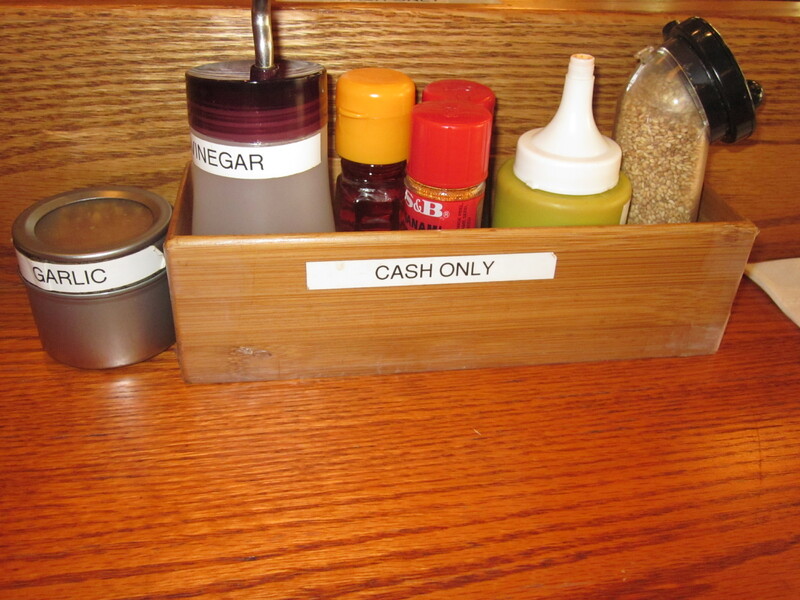 I paid, “cash only,” and cleared my nose once more before walking back out to the hot street. My shirt no longer stuck to my not as grimy or sweaty flesh. The ramen was hot but now I was cool. And that’s the funny thing about the Noodle Cure. 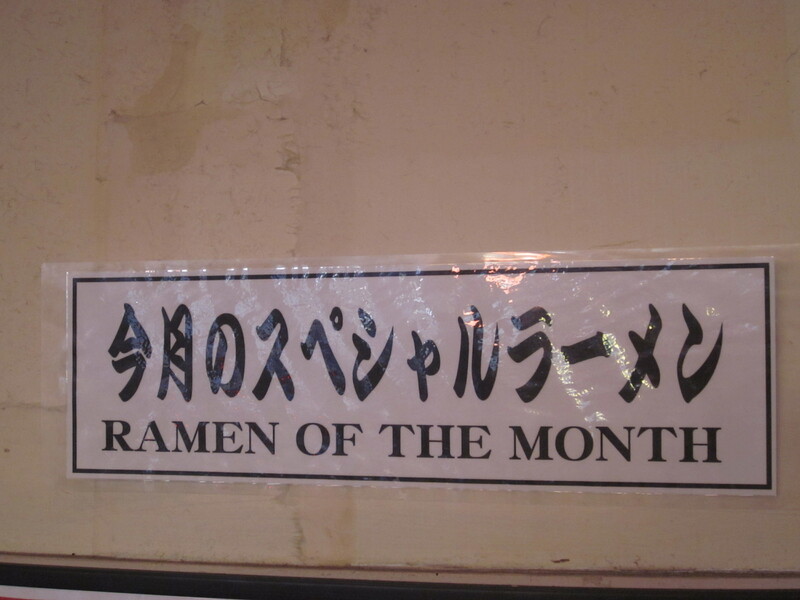 How does one join the “Ramen of the Month” club?